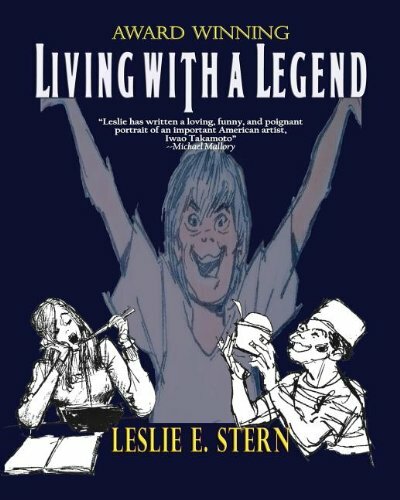 LIVING WITH A LEGEND by Leslie E. Stern offers touching personal stories about her acclaimed step-father, Iwao Takamoto, who designed such animation masterpieces as Scooby-Doo, Astro, Mutley, Charlotte s Web, and worked on classic films such as Lady and the Tramp and Cinderella. Leslie s musings of growing up in a multi-ethnic home amidst cartoon genius tells the story of her step-father s influence on her, stories of her youth, and Iwao s influence on others. It includes personal drawings done by Iwao for Leslie, drawings done by other famous animators for Iwao, as well as never before seen photographs and drawings. A must read for any cartoon lover and a pleasure to read for anyone with a heart. This new color, coffee table book is written with love and humor and features never-before-seen drawings by Iwao Takamoto, as well as by other animation legends. It is a delight to behold for anyone who is a fan of Scooby-Doo, The Pink Panther, or The Flintstones. Readers will be fascinated by the personal stories about the creative genius behind such classics as Lady and the Tramp, Charlotte s Web, and 85% of the Hanna-Barbera cartoons they know and love.